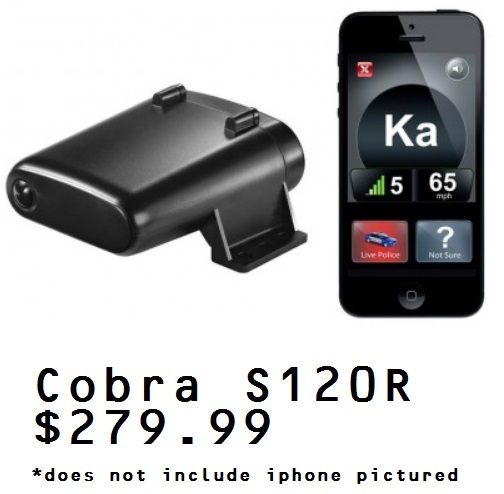 Dash Cameras and Radar Detection - Barry Electronics - Since 1979! Dash Cameras allow you to record from the perspective of your vehicle for security, accident reporting, ticket contesting, and many other reasons. 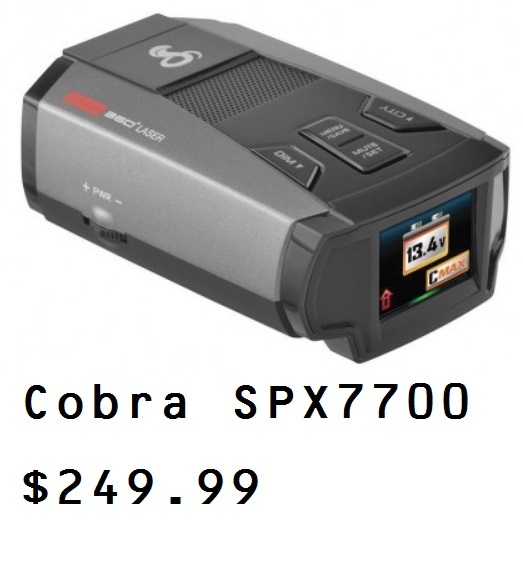 Barry Electronics have several camera options available, as well as high quality radar detection which can be integrated with the camera system. ​PASSPORT Max - the first and only detector with High Definition (HD) Radar Performance includes: soft-sided travel case, new "Sticky Cup" windshield mount, 12-volt Combo SmartCord® and quick reference guide. If you would like a more permanent installation for your PASSPORT Max, check out the DirectWire SmartCord® or the more basic DirectWire kit for hardwired installations. Our all-new receiver incorporates advanced military technology called Digital Signal Processing (DSP). This unique method of scanning enables the PASSPORT Max to identify real threats faster and more accurately than any other detector. Quicker response time means more advanced warning against instant on radar threats. In addition to providing lightning fast response, the PASSPORT Max also looks for a signature or the DNA ofthe signal and sorts out the real threats from a myriadof other signals with precision. The result is a quiet experience in a world of noise. The new multi-color graphic display is stunning. 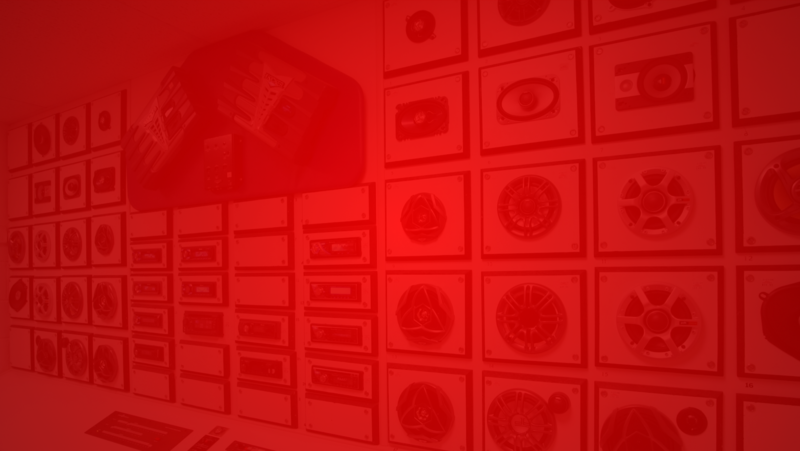 Brilliant new graphics illuminate intuitive icons that identify the type of threat at a glance. In addition, user-selectable backlit colors allow you to choose a color that works best with your vehicle's interior gauges. Speed traps and camera locations are everywhere! We've addressed the increasing number of "safety" cameras installed throughout the U.S. and Canada by pre-loading the PASSPORT Max with our exclusive DEFENDER® Database of active red light and speed camera locations throughout North America. As you approach these locations, the MAX will alert you in advance, you can even add your own "hot spots"using our exclusive Mark Location feature. 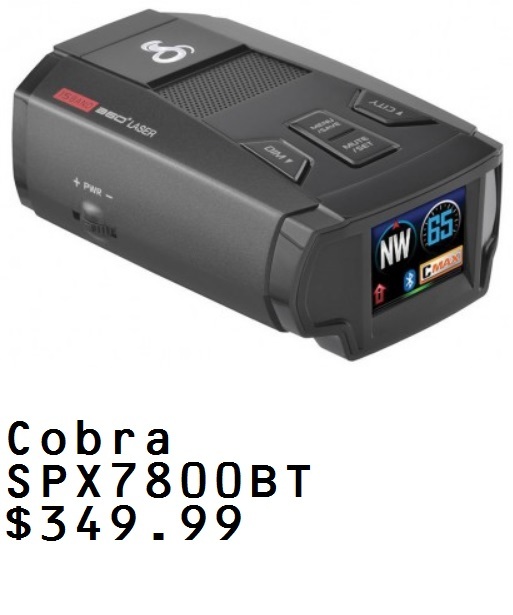 The LRD950 is the top of the line Radar Detector with a built-in GPS feature. With the LRD950, you can mark geographical points where you commonly encounter radar transmissions, These can be school zones, red-light cameras, and places where police frequently monitor traffic. You can mark these points so the detector will announce "User mark ahead" when you approach them. Memory feature saves users last settings (except MUTE) when the unit is powered down/disconnected from power. 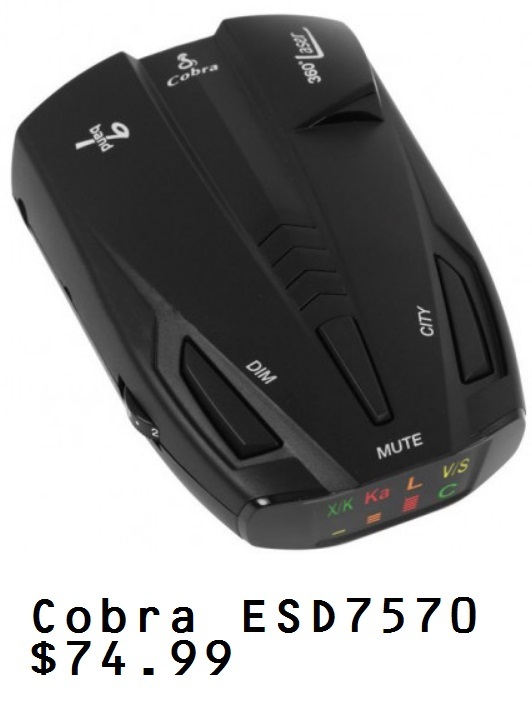 Bluetooth-enabled radar detector with a full-color LED display. By connecting to your smartphone, it has impressive community threat sharing and GPS that help you avoid situations that could lead to a costly ticket. Designed for harsh environments. Waterproof and weatherproof. Reduced false alerts with City/Highway Mode. UltraBright Data DisplayT provides easy recognition of the detected band with easy to read icons. Adjustable City and Highway Modes help reduce false alerts based on your driving location. 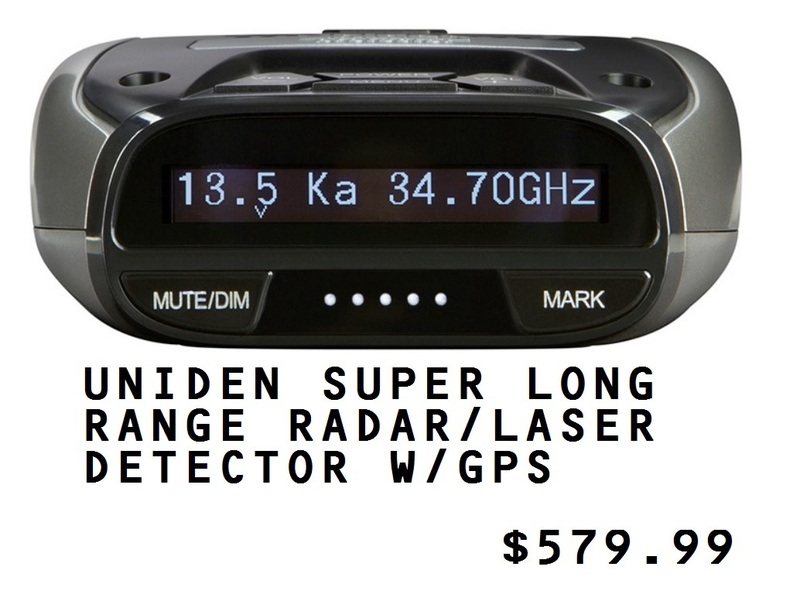 Undetectable by VG-2 radar detector detectors. 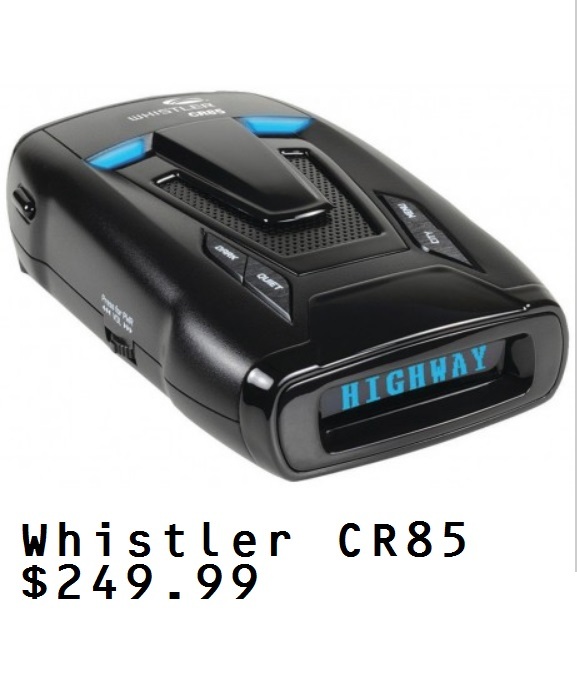 Police use radar detector detectors to spot radar detector users. Your detector is invisible to these devices. You may choose whether or not you want to be notified of VG-2 RDD signals. Safety Alert decoder displays emergency safety warnings from emergency vehicles. Installs on the windshield with included mounting hardware.